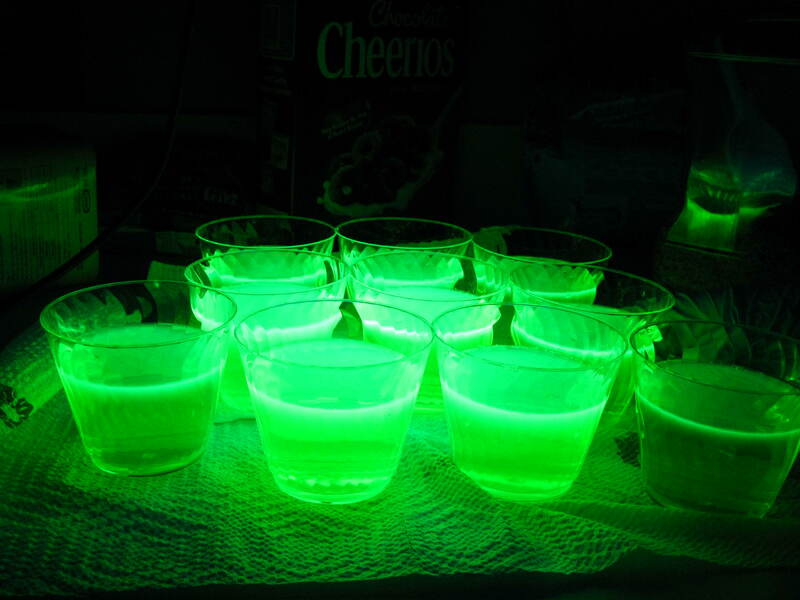 We made crazy glowing water for a science project and decided to take it to a whole new level with the kids! We discovered that making such projects like Flubber, watercolors, Space themes and virtually any activity that involves water can add a glowing effect! OOooOOooo! Look what we did! We allow the kids to label their cups with their names. You can have them make the solution in one large bowl or individually in each cup (this requires individual pens for each child). A worthy donation if this works out! You can break open the pens to expose the filter or simply have the children sit the pens in a small cup of water. This is a more kid friendly approach and it gives them a day to watch the pens transform the water. The children love turning of the lights and having the black light shine on their creation. H-mmmmmm? Perhaps we are off setting the cost of the highlighters with all the electricity we are saving? wow! well I'm impressed! :) who knew you could do something like that!? holy cow, this is SO COOL! !